We are proud of the Signs, Banners and Notice Boards that we have produced. Our products are in daily use in hundreds of Schools, Surgeries, Sports Clubs and Businesses across the U.K.
We were recently privileged to work with the senior management team at this prestigious school. We chose a premium Plaza post mounted sign with main panel and slim panels below all painted to the school colours and with the logo and text to complete the image. We wanted to say ' less is more', sometimes it is better to be just a little understated. It goes to show that mixing the new with old can work very well. 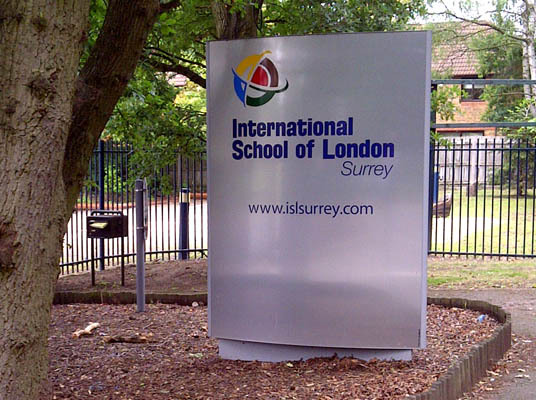 The International School of London chose a monolith sign to make them stand out from the crowd along a busy main road. These signs are constructed of aluminium and aluminium composite. They are robust and easy to maintain, they are designed to look good and to last for years to come. The school logo and text was added in a polished acrylic and printed using the latest generation of U.V. ink printer. 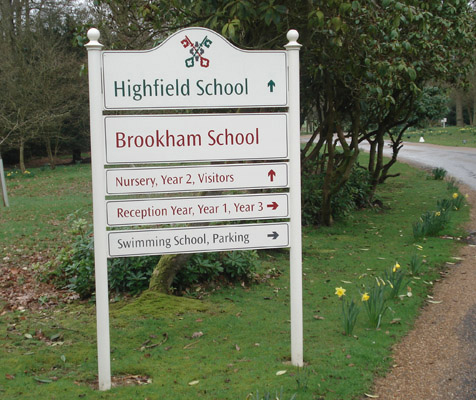 Highfield and Bookham Schools chose our Plaza signs in 2009, they still look as good today as when they were installed. The Plaza range is made from solid aluminium which is prepared then painted before the text or logos are added. 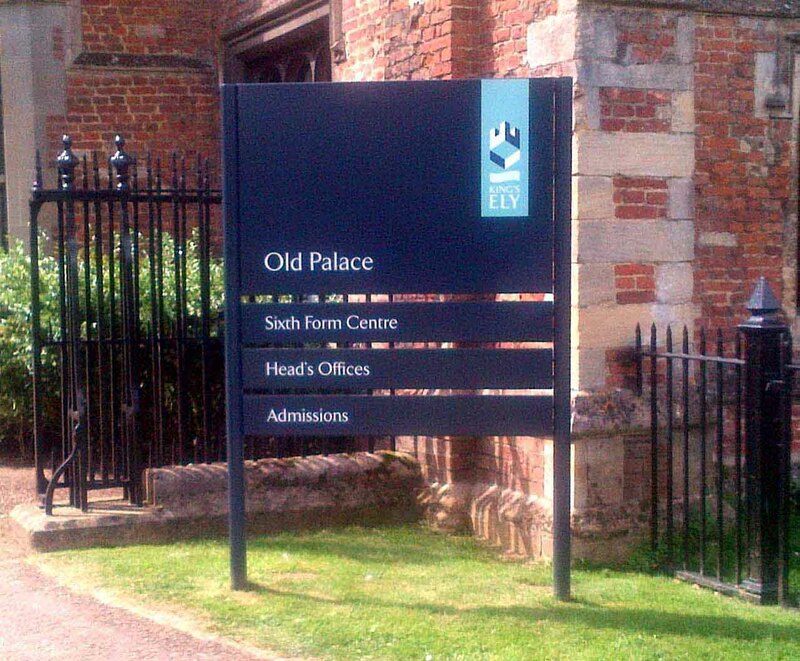 These are truly bespoke signs that add to your image and are built to last for years with very little maintenance. They are designed to be part of your marketing and to reflect the image of your school, surgery or business. This is a real innovation. 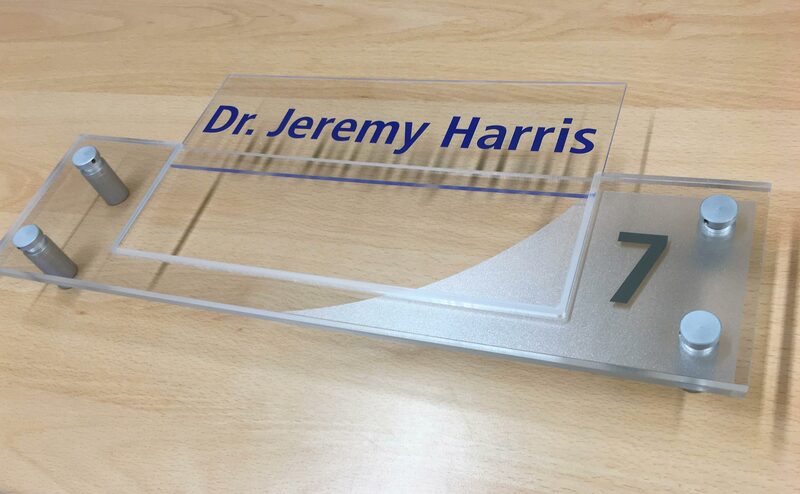 A simple room or door sign with a changeable drop in name plate. Originally designed for use in one of our larger surgery customers, where the surgery or room use changes sometimes several times a day, this is an easy way to add staff names or uses to a prestigious sign and where it is not a 'slider' with all the issues that can arise from an insert that can moves or fall out. These signs are available in a range of sizes and with a fixed name or message or a changeable drop in insert. They are easy to keep clean and spare inserts are available for new staff members as necessary. 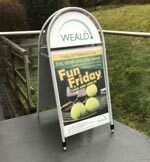 The 'Plaza' all weather 'A' Frame is in use here by The Weald Squash & Tennis Club to promote an evening of fun at their club. This prestigious style of pavement sign carries the club logo on the top plate that is always visible. There is a permanent message on the main panel that can be covered by a poster or insert, as in this case, to promote a special event. The poster or insert can be removed after the event to return the sign to it's original use. These pavement signs are really built to last and to look good for years to come. 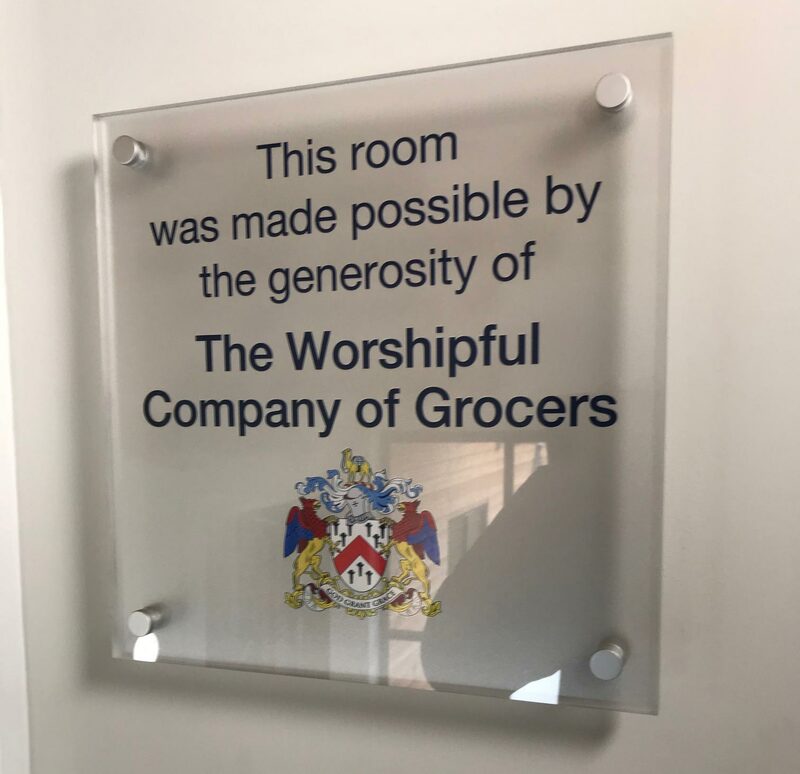 This prestigious Donor Plaque was made from 10 mm thick highly polished clear acrylic with the text and full colour logo printed to the rear face, then wall mounted using brushed aluminium stand-off mounts, was in recognition of the contribution made toward a famous school's new cricket centre. A high quality finish was required to match the surroundings and to convey that certain understated panache. 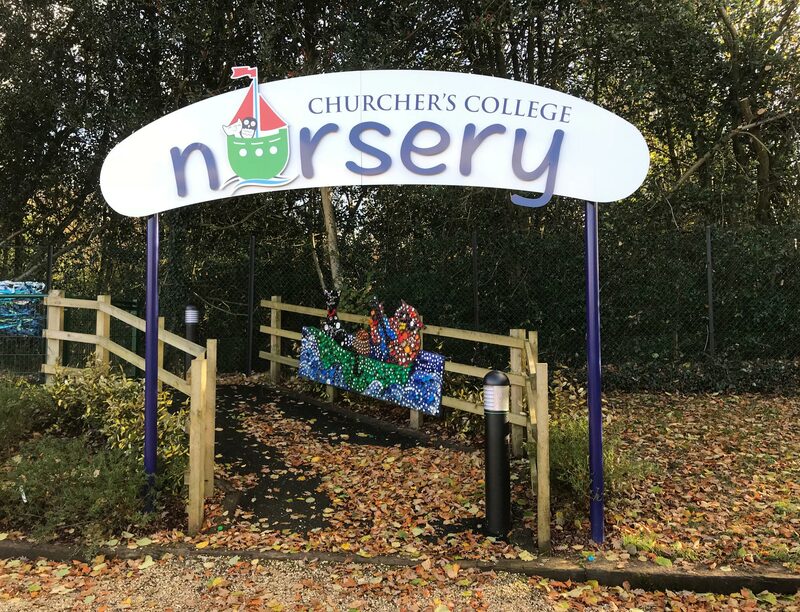 An aluminium shaped panel with fret cut out logo and text in the school colours, mounted onto painted extruded aluminium posts, form an entrance arch from Elementary Signs 'Shapes' range. This sign is built to last and to form a welcoming entrance sign for younger students to this pre-school entrance.